Profile of Beijing Automotive Group Co., Ltd.
BAIC first car "Jinggangshan" the car was born. 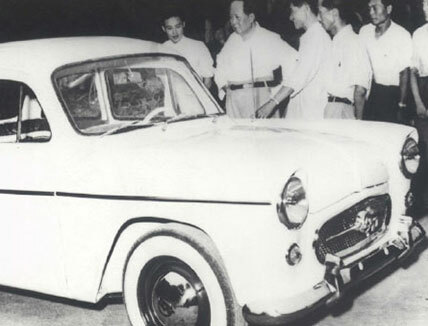 On June 20, 1958, the first independently developed sedan "Jinggangshan" drove in Beijing into Zhongnanhai and received praises from Mao Zedong, Liu Shaoqi, Zhu De, Deng Xiaoping and several other founders of the New China; vehicle production in Beijing was thus formally unveiled. BJ130 sample car successfully passed the trial production. 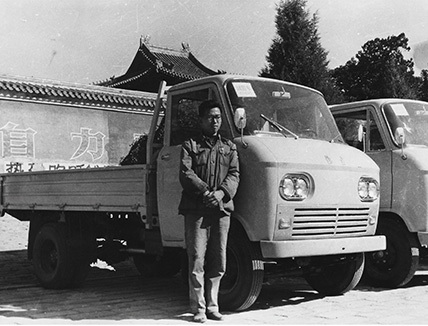 On April 28, 1966, Beijing Second Automobile Repair Plant trial-manufactured two BJ130 light-duty truck samples. BJ212 was finalized and put into production. 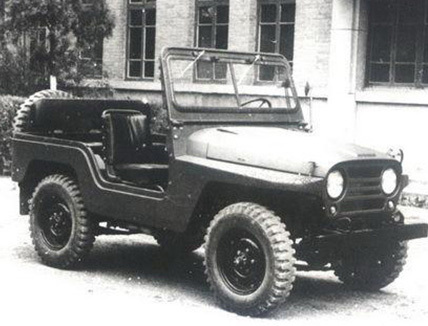 On May 5, 1966, BJ212 off-road vehicle, independently researched and developed by Beijing Automobile Works, was finalized in design and formally put into production. Beijing Automobile Industry Company was founded. On July 30, 1973, Beijing Automobile Industry Company, the predecessor of BAIC Group, was officially founded. 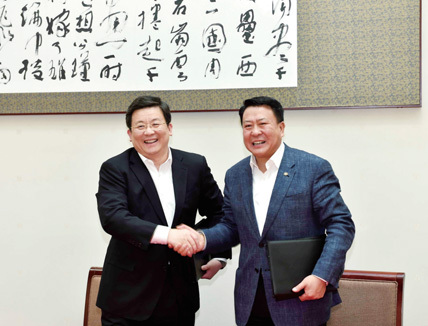 The general contract of the Beijing Jeep Corporation joint venture was signed. 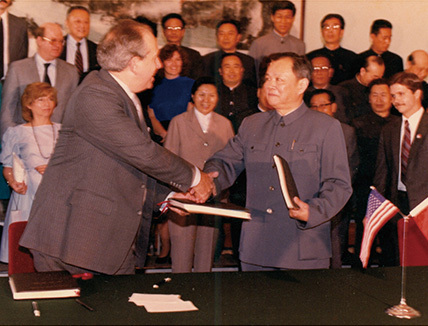 On May 5, 1983, Beijing Automobile Works and American Motors Corporation (AMC) signed the general contract of the Beijing Jeep Corporation joint venture, the first Sino-foreign joint venture in complete vehicle manufacturing in the Chinese automobile industry. The public shares of Beijing Wagon Co., Ltd. were officially issued. From March 27 to March 29, 1994, the public shares of the Beijing Wagon Co., Ltd., the first listed company among the complete vehicle manufacturing enterprises in the Chinese automobile industry, were officially issued to the public. 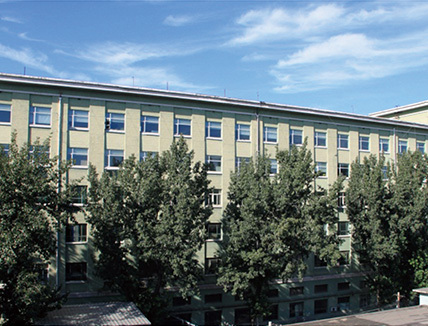 Foton Motor Co., Ltd. was established. 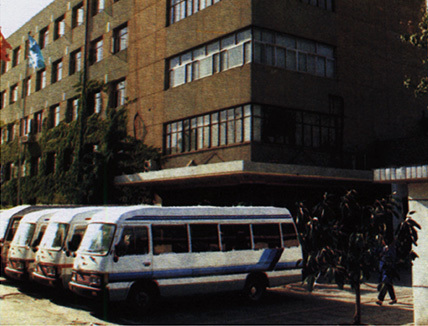 On August 28, 1996, Beijing BAM Company launched 100 enterprises to establish the Foton Motor Co., Ltd. Currently, its production and sales continuously exceeded those of Europe, the U.S. and Japan and ranks global No.1 in terms of sales of commercial vehicle. BAIC Group signed an overall strategic corporation agreement with the South Korean Hyundai Motor Company. 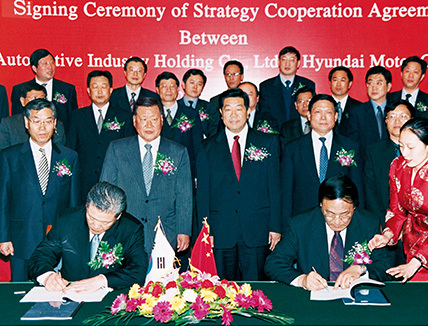 On April 29, 2002, BAIC Group signed an overall strategic corporation agreement with the South Korean Hyundai Motor Company in Beijing, and Beijing Hyundai Motor Co., Ltd. became the first complete vehicle manufacturing joint venture after China's accession to the WTO. BAIC Group signed a framework agreement for strategic cooperation with DaimlerChrysler AG. 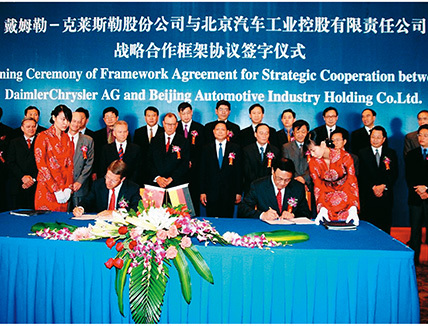 On September 8, 2003, BAIC Group signed a framework agreement for strategic cooperation with DaimlerChrysler AG in Beijing. 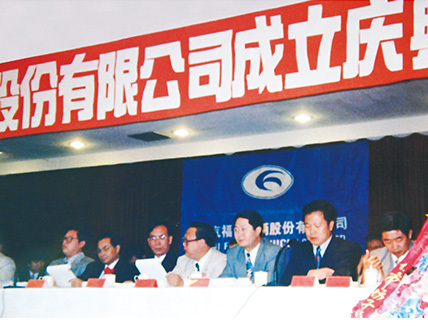 On April 26, 2007, BAIC Group Assets Management Co., Ltd., a reform and adjustment platform for BAIC Group, held the opening ceremony. It became the first platform for BAIC Group to promote the collectivization strategy. 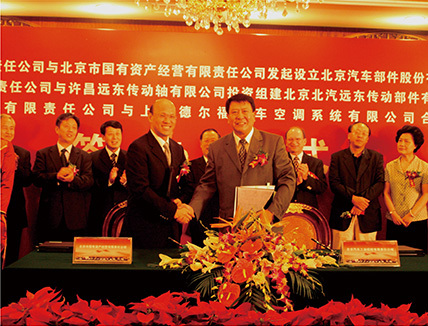 Beijing Automotive Parts Co., Ltd. signed the agreement. 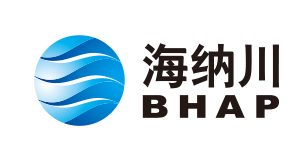 On August 26, 2007, Beijing Automotive Industry Holding Co., Ltd. and Beijing State-Owned Assets Management Co., Ltd. jointly incorporated the Beijing Automotive Parts Co., Ltd. (later renamed as the Beijing Hainachuan Automotive Parts Co., Ltd.). 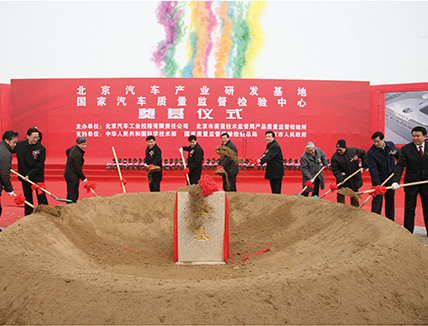 A foundation stone laying ceremony was held for BAIC Group Industry R&D Base. 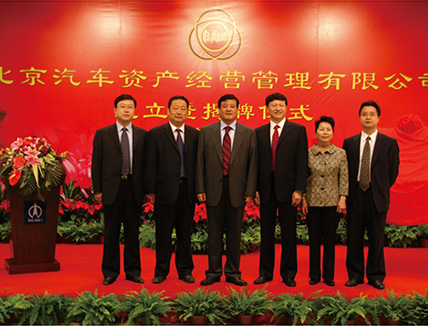 On February 19, 2009, the foundation stone laying ceremony for BAIC Group Industry R&D Base was held in Shunyi. Annual production and sales of BAIC Group exceeded one million vehicles for the first time. 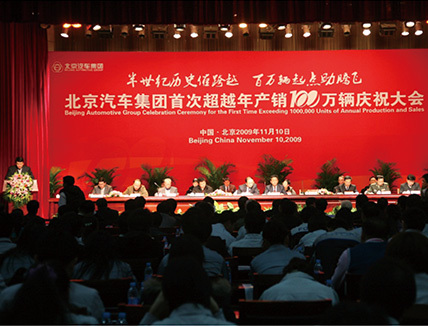 On November 11, 2009, BAIC Group held a ceremony to celebrate "the annual production and sales of BAIC Group exceeding one million vehicles for the first time in 2009", and the annual sales revenue exceeded 100 billion yuan. 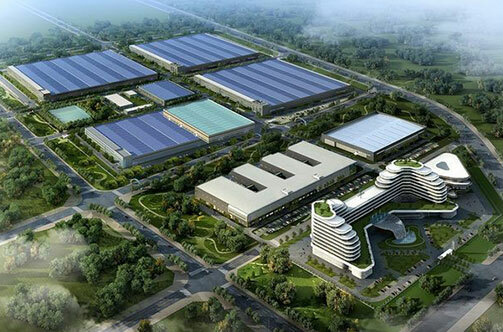 On November 14, 2009, BAIC BJEV, BAIC BJEV Scientific and Technological Industry Park, and Beijing Pride New Energy Battery Technology Co., Ltd. were established in Beijing Caiyu Economic Development Zone, Daxing District. BAIC Group announced that it successfully acquired Sweden's SAAB intellectual property rights. On December 14, 2009, BAIC Group announced that BAIC Group and Sweden's SAAB Automobile Company had finished the acquisition of the relevant intellectual property rights. 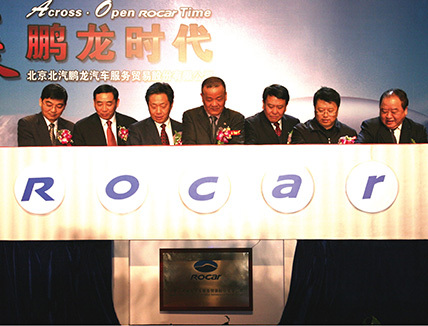 BAIC ROCAR Automobile Service and Trading Co., Ltd. was established. On January 20, 2010, BAIC ROCAR Automobile Service and Trade Co., Ltd., a BAIC automobile service and trade platform, was established. 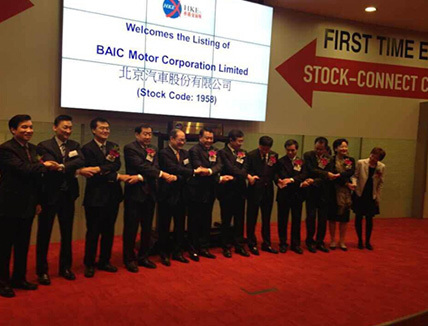 BAIC Motor Corporation Ltd. was established. On September 28, 2010, Beijing Automotive Industry Holding Co., Ltd. officially changed its name to "Beijing Automotive Group Co., Ltd." and BAIC Motor Corporation Ltd. was officially established. The first 2.3T gasoline engine of the self-owned brand of BAIC Group passed trials. 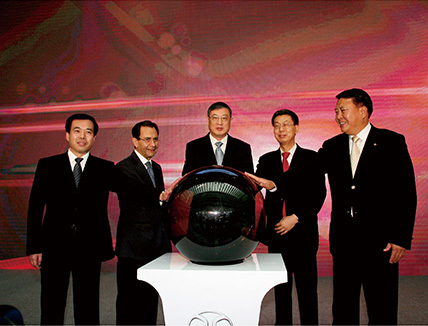 On December 31, 2010, the first 2.3T gasoline engine of the self-owned brand of BAIC Group, through digestion and absorption of SAAB turbocharging technology, passed trials. 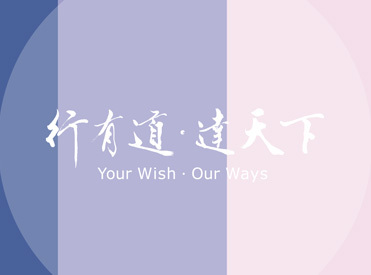 Hainachuan successfully acquired 100% of Inalfa stock. 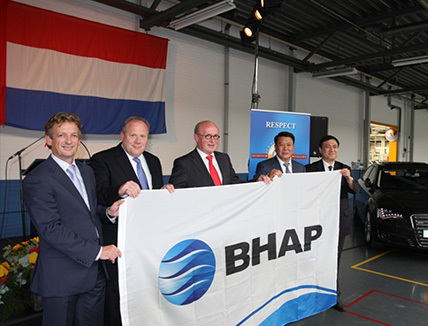 On July 29, 2011, the equity delivery ceremony between Beijing Hainachuan Automobile Parts Co., Ltd. and Inalfa was held in Amsterdam, the Netherlands, with Hainachuan acquiring 100% of Inalfa stock. Senova, an intermediate class car of BAIC Group came into market. 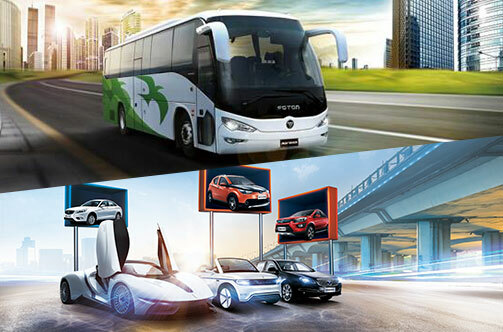 On May 11, 2013, "Senova", a self-owned brand intermediate class car of BAIC Group officially came into market. 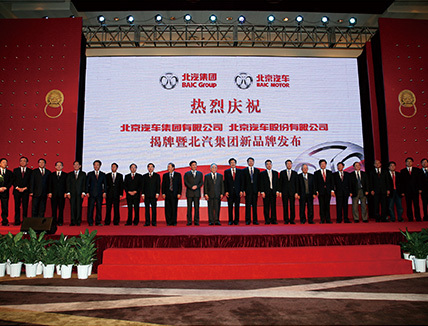 On June 22, 2013, BAIC INTL was established, becoming a cooperation platform for the overseas business strategy of BAIC Group. 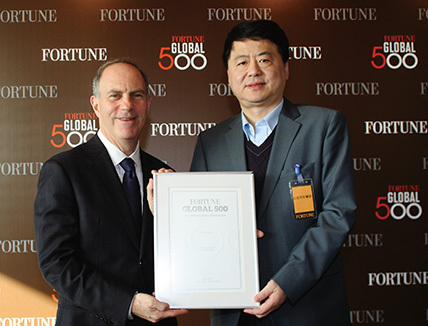 BAIC Group was listed among the Fortune 500. On July 8, 2013, the 2013 ranking of Fortune 500 enterprises was published in the U.S.A. Fortune magazine showed that BAIC Group ranked in the 336th place among the Fortune 500, and in the 18th place in global automobile enterprises. BAIC Group regrouped Changhe Auto. 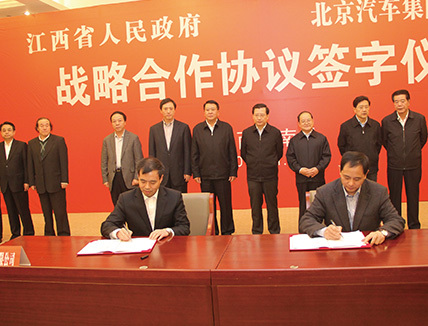 On November 25, 2013, Jiangxi Government and BAIC Group signed a strategic cooperation agreement. 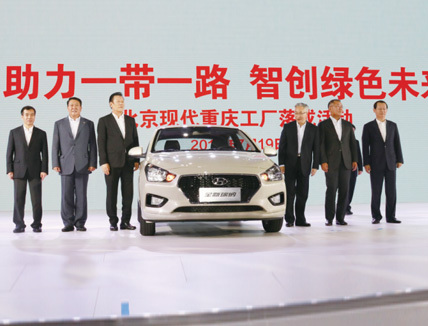 BAIC Group and Jiangxi Corporate State-owned Assets Management Co., Ltd. respectively held 70% and 30% of the equity of Changhe Auto, to jointly promote the building of the self-owned brand of Changhe Auto and the joint-venture brand of Changhe Suzuki. 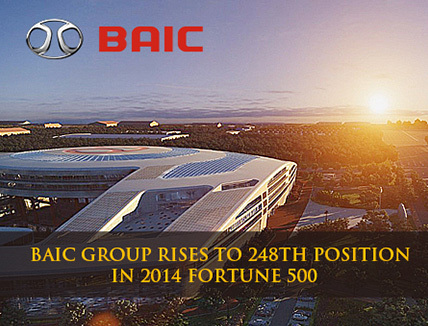 On July 10, 2014, BAIC Group rose to the 248th on the 2014 Fortune Global 500. It improved by 88 places compared to the year before. 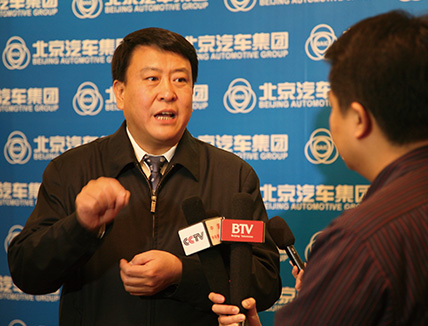 BAIC Group's revenue totaled $43,323.9 million. On November 20, 2014, BAIC acquired a portion of the shares of Pacific Aerospace Limited (PAL) and set up a joint venture with the company, namely, Beijing Pan Pacific Co., Ltd.
On December 19, 2014, Beijing Automobile Co., Ltd. (“BAIC Group”) was officially listed on the main board of The Stock Exchange of Hong Kong Limited, a historic step of BAIC Group in the capital markets. 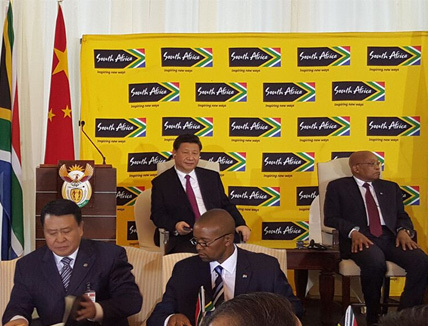 On December 2, 2015, BAIC and South Africa Industrial Development Corporation signed a Memorandum of Understanding on joint venture and cooperation on the South African Factory Project, involving an investment of 5 billion RMB and a planned production capacity of 100,000 units per year. 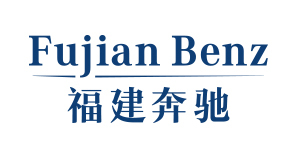 On March 14, 2016, Beijing Automobile Co., Ltd. (“BAIC Group”) and Fujian Motor Industry Group Co. signed a framework agreement for BAIC to acquire 35% of the shares held by Fujian Benz, holding each side 50% of the shares in Fujian Benz. On July 20, 2016, Beijing Automobile Co., Ltd. (“BAIC Group”) ranked 160th among the Fortune Global 500 with sales revenues of 54.9 billion U.S. dollars. It ranked 15th in the global automotive industry. On June 30, 2017, President Xi Jinping took the Beijing BJ80 for the review the Chinese People’s Liberation Army troops stationed in Hong Kong. On July 30, 2017, the parade celebrating the 90th anniversary of the founding of the Chinese People’s Liberation Army took place at the Zhu Ri He tactical training base. 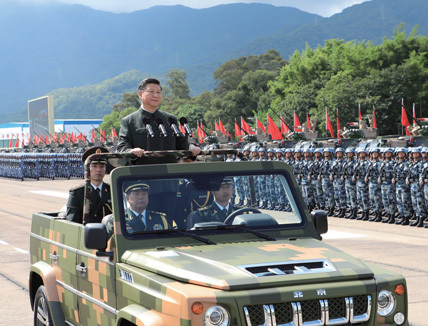 President Xi Jinping took the Beijing BJ80 to inspect the army. 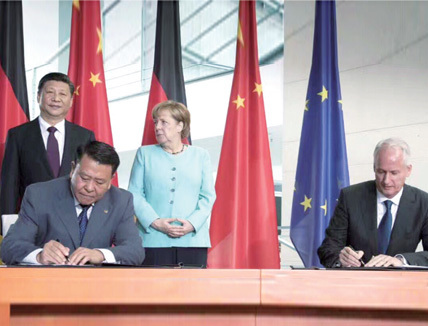 On July 5, 2017, Beijing Automobile Co., Ltd. (“BAIC Group”) and Daimler AG signed the agreement. 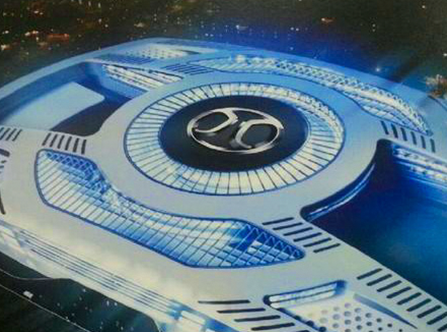 The two sides would jointly invest 5 billion yuan to establish in Beijing a cutting edge electric car production base to introduce the electric vehicles of Mercedes-Benz. 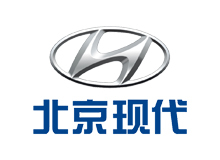 On July 19, 2017, Chongqing factory of Beijing-Hyundai Auto was formally established and became an important layout for BAIC to respond to the national “Belt and Road” construction and the development strategy of the Yangtze River economic zone. On July 20, 2017, Beijing Automobile Co., Ltd. (“BAIC Group”) ranked 137th among the Fortune Global 500 with sales revenues of 61.13 billion US dollars. This was the fifth consecutive year that BAIC enters the list. Compared with the ranking in 2016, BAIC achieved a strong rise by moving up 23 places. 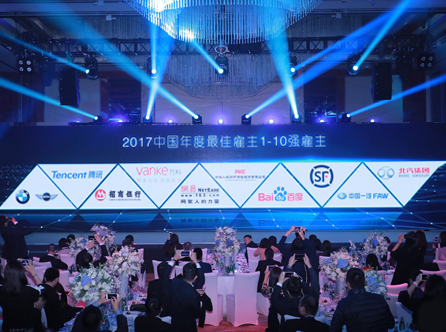 Fortune officially announced the ‘2018 Top 500 Companies’ ranking on July 19, 2018, at 19: 30, Beijing time. BAIC ranked the 124th in the world's top 500 with its operating income of US $ 69.5,991 billion, up 13 places from 2017. This is the sixth year in a row that BAIC has been shortlisted for the ‘op 500 enterprises in the world’ and has kept its ranking increasing year after year. This latest ranking shows the strong momentum of reform and transformation and high-quality development of BAIC. On June 8th, President of Kyrgyzstan Sooronbay Jeenbekov visited the BAIC Group during his state visit to China to attend the 18th Meeting of the Council of Heads of Member States of the Shanghai Cooperation Organization. 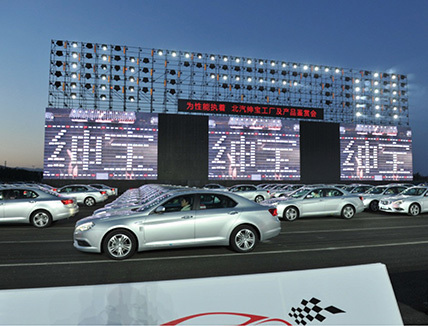 On February 26th, the BAIC Group and Daimler AG jointly announced that both sides plan to invest more than RMB 11.9 billion in upgrading the factory of BAIC Motor Corporation Limited’s Beijing Branch (hereinafter referred to as the ‘Beijing Branch’) in Shunxi District of Beijing City so as to build the new luxury car production base of Beijing Benz Automotive Co., Ltd. (hereinafter referred to as ‘Beijing Benz’). Such a move is not just an important measure of the BAIC Group for keeping abreast of the new energy vehicle (NEV) industry’s development tendencies and deploying business in the new energy luxury brand market through Beijing Benz, but also an active response to the Beijing Municipal Government’s call for the development of high-end, precise and sophisticated industries. 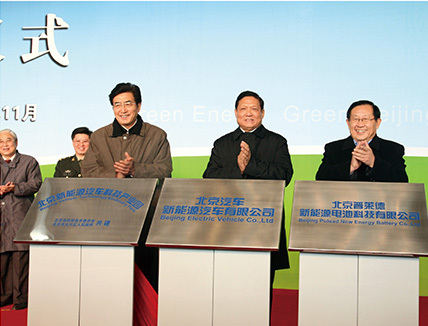 It is also a vital action taken by the BAIC Group for the implementation of its comprehensive new energy strategy. 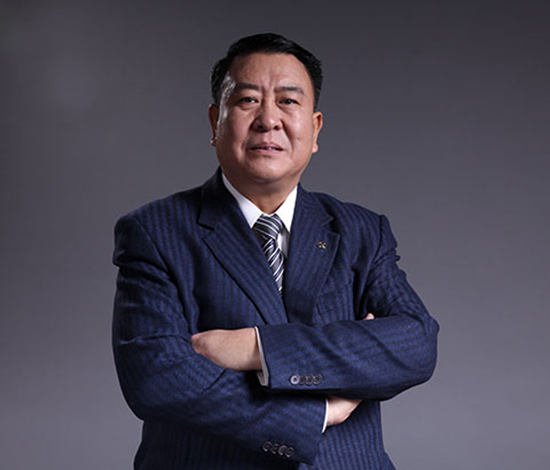 As BAIC Group Party Committee Secretary and Chairman Xu Heyi noted, being located in Beijing, the capital of China, the BAIC Group must pursue development towards high-end, precise and sophisticated industries. 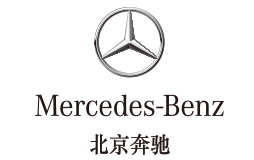 It is through Beijing Benz’s capacity upgrading that the BAIC Group realized structural adjustment featuring an emphasis on core competitiveness, thereby laying a firm foundation for the value appreciation of state-owned assets. As the opening ceremony of the Pyeongchang Winter Olympic Games approaches, major media networks around the world are paying attention to South Korea. At the same time, local mainstream media networks are focusing on a Chinese vehicle company. "3+N" independent innovation system: "Three R&D platforms for passenger vehicles, commercial vehicles and new energy vehicles + research institutes of multiple key subsidiaries." The group owns 11 national hi-tech companies, including BAIC Motor Corporation., Ltd., BAIC BJEV, BAIC Powertrain and Shandong Binzhou Bohai Piston. It also owns three national corporate technology centers including BAIC Motor Corporation Research Institute, BAIC Foton Motor Engineering Research Institute and Shandong Bohan Piston Technology Center. BAIC Group, keep in mind its social responsibilities and actively implementing the national strategies for the construction of ecological civilization and environmental protection, responds to the call for low-carbon environmental protection with practical actions, took the lead to march to the new energy vehicle industry, built a new energy vehicle ecosystem centering on new energy passenger vehicles, commercial vehicle (including special vehicles) and supporting extended services for mobility, and is committed to creating a new pattern of comprehensive new energy development for the BAIC Group. On July 26th, in Lhasa, with the blue sky and white clouds, a splendid event further narrowed the distance between Beijing and Lhasa. The launching ceremony of Beijing’s support to Lhasa regarding the green bus project donation and caring medical mutual assistance program was held with the theme of “Beijing and Tibet are one family in love”. This weekend, in a grand event about “Youth”, “The Reader” in this season has ended gorgeously. 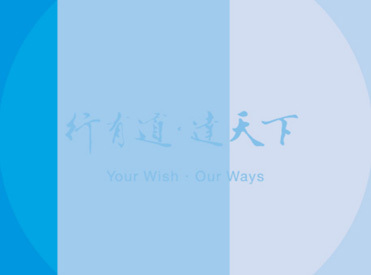 The heartfelt program jointly created by BAIC Group and CCTV in this spring has drawn to a full stop. On January 12, 2018, the Practice Kick-off and Training Graduation of Position Practice Program of BAIC-the Third Batch of Trainees of Daimler Program was held at Jacobs University Bremen successfully. 京ICP都11041689号-1 © Beijing Automotive Group Co.,ltd.